Well, as the saying goes "life is not a bed of roses"... And learning how to overcome the misadventures or unpleasant situations are part and parcel of life. 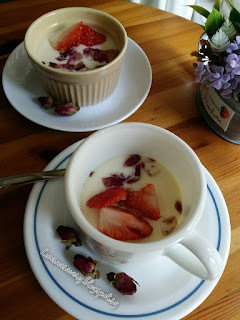 Chance upon this easy to make milk pudding. Since I've got some dried rose buds, quickly made these desserts to try .... love the hint of rose fragrance and smooth silky texture. Modified slightly below as I've reduced the sugar amount. 1) Briefly rinse the dried rose buds, use only the petals and place them in the heat proof bowls. Set aside. 2) In a big bowl, combine the egg whites, sugar and milk. Mix well with a whisk. 3) Run the mixture through a sieve, thereafter, pour the mixture into the individual heat proof bowls. 4) Cover the bowl with cling wraps. 5) Prepare a steamer and steam under rapidly boiling water on medium heat for about 9 - 10 mins. 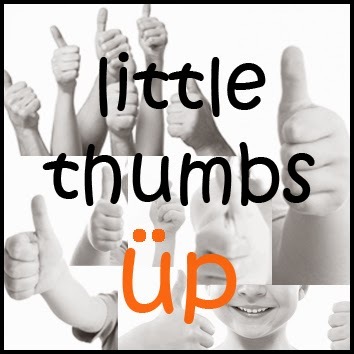 Linking this post to Little Thumbs Up - Feb 2016 which is organised by Zoe from Bake for Happy Kids and Doreen from My Little Favourite DIY, and hosted by Sweet Home-Chefs. Karen, This lovely rose infused milk pudding looks pretty and sound romantic. Likes!!!! Hee .. hee... agree with you, Ann. This lovely dish sings Spring!!! You're welcome, Louise, spring is in the air with a hint of rosy aroma ^-^! Wish i can have a bowl from you! Thank you very much for sharing this to LTU! 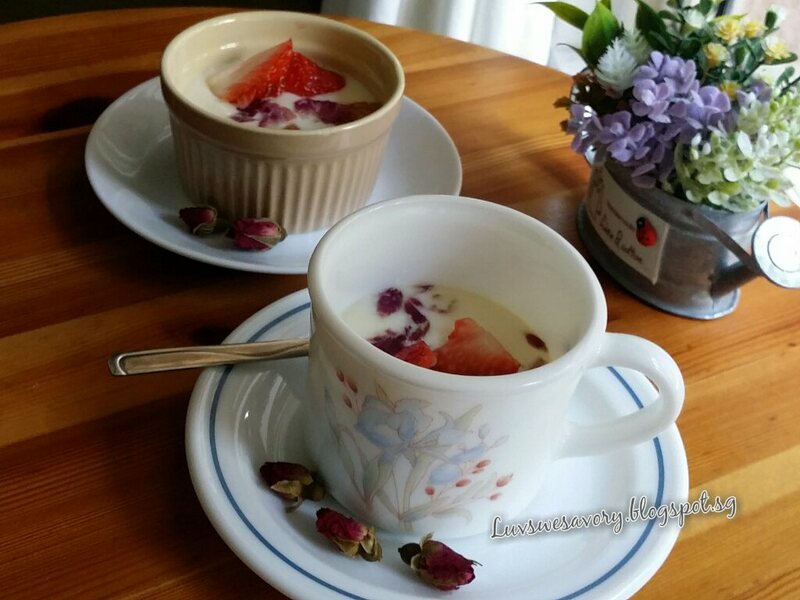 Very pretty "Rose infused milk pudding"! Especially the first picture with those pinky rose petals on the surface,I love it ! Hi Karen, I'm imagining the lovely smell of rose fragrance coming from the pudding. Beautiful! I would love to have a bowl of your rose infused milk pudding. Looks so yummy! My pleasure, thanks for the compliment, Nancy ^-^! Hi Karen, thank you so much for linking up. I'm excited to see this beautiful pudding. ^.^ It looks like the stuff of love stories and warm-hearted conversations. I will be hunting for dried roses now that you've tempted me with such a nice dessert! Thanks for your compliments, Sharon. Love stories ?! ... hee .. hee ... "where do I begin .." reminds me of the song. Karen, this is the sort of dessert to serve on Valentine's Day! Thanks Phong Hong. Hee .. hee.. kinda romantic, right? This dessert looks yummy! Great for the family to enjoy after dinner! I think so too. Thanks Joyce. Yeah... Life is never a bed of roses but I always tell myself... what didn't kill me make me stronger! LOL! I would like to take this opportunity to thank you heaps for supporting LTU for all these years. Doreen and I are ending this event after May 2016. Hi Zoe, thanks for your encouragement, very timely indeed. 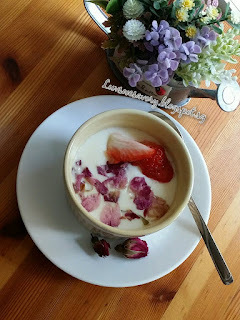 When the tension/anxiety was over, I really appreciated that little space of relaxation to enjoy this rose fragrance pudding. Thank you for organising LTU events that had created a platform for all bloggers to make friends, widen the cooking/baking horizons through learning and encouragements given. Yes, it's a pity that LTU event will be ended. But all good things must come to an end, right?